Life is like a pendulum – sometimes it swings in our favor and other times things just fall apart. But regardless of how unbearable your situation might look, it’s always worth recalling the many individuals that love you. 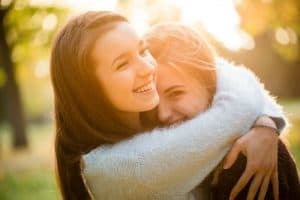 If you suspect that a close friend is going through tough times, there are various ways that you can help. For instance, if they fall into alcoholism, you can offer them quit drinking advice. Happiness is a state of mind. Most people think that relationships, material wealth and other external factors determine their happiness. Truth is, we can cultivate our happiness by working within ourselves rather than searching outside. Although stress is part and parcel of life, some situations can be mentally exhausting. Most people walk around with bottled-up feelings that affect them severely. However, harboring negative emotions can only happen for so long. When push comes to shove, the effects of stress buildup manifest themselves in undesirable ways. These include depression, emotional flares and self-inflicted injuries. It’s important to contact your friends regularly and have hearty conversations. Listen to their issues. Being empathetic is probably the most important characteristic of any friendship. 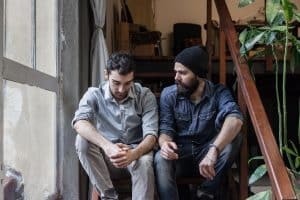 It isn’t sufficient to simply talk about an issue with a friend in need. Find out how you can offer them assistance. Chances are, your friend will find it extremely difficult to open up. Handling daily tasks can be an uphill battle for individuals dealing with depression. Apart from being a shoulder they can lean on, come up with practical solutions that can help your friends. Offer to take them out. Watch a comedy together. Such actionable offers will certainly help more. Offering to spend your precious time with a friend in need surpasses any other material gift you can give them. Sure, calling is a thoughtful gesture that proves you’re thinking about them, but your presence will make a more effective impact. Remember, a problem shared is halfway solved. Be gentle with your friend and offer them warm hugs every now and then. Knowing that someone cares enough to hang out with you is one of the most heartwarming feeling. Apart from spending time with your friend who’s in need, you can send them a feel better card. You don’t need a special occasion to show how much you love someone. Sending them a card is a random, creative surprise that will put a smile on your friend’s face. In addition, it’s quite affordable – you can purchase supportive cards from as low as $1 a piece. There’s really no excuse here! Offering to pray together with your friend is quite a sweet gesture. 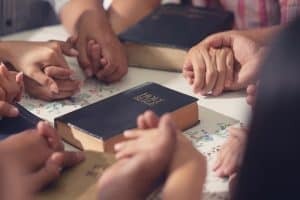 People often seek spiritual intervention when things get tough. Praying about an issue implies that you’ve allowed God to take control, so there’s a calming assurance that everything will work out fine or you can give them some advise about ways to relieve stress. So make short uplifting prayers for your friend – it will certainly help. A friend in need is a friend indeed. These 5 methods can be implemented to help someone who is going through tough times.